This post was sponsored by Regions Bank. All opinions are my own. The holiday season is here and whether you are shopping online or in-store, there is a big temptation to spend too much on gifts. This can lead to a case of buyer’s remorse come January. Even if you haven’t been saving throughout the year for the holidays, there are still ways you can prepare yourself financially for the holiday season and beyond, into 2016! There are 4 ways to help you prepare for the holiday season. These four steps have helped me and many others get ready for all the holiday shopping coming our way! 1. Start a holiday savings account. We have a separate savings account that we deposit money into monthly throughout the year. We set a rate, $75 or $100 a month that goes straight into this account. 2. Set a budget. Take into account what has been spent in previous years as an average of what you should be spending on holiday gifting. In this budget, I also include any and all holiday travel and parties I plan on hosting. 3. Know when to buy. The holidays are the best time of year to take advantage of sales. Retailers are constantly competing against each other and will offer amazing prices on items throughout the season. Compare weekly ads, sign up for email savings and check online for coupons. 4. Buy what you can afford. Just because something is on sale doesn’t mean you have to buy it. Buy what you actually need or know the recipient will like. Don’t buy “just because”, that will just make you spend extra money on things you do not need. For more advice on how to prepare financially for the holiday season and beyond, be sure to check out Insights byRegions, where you’ll find financial guidance to move your life forward. These are such simple tips, but great reminders. I feel like people go crazy spending money and getting into debt this time of year. Doesn't seem worth it. That is such a great family pic! 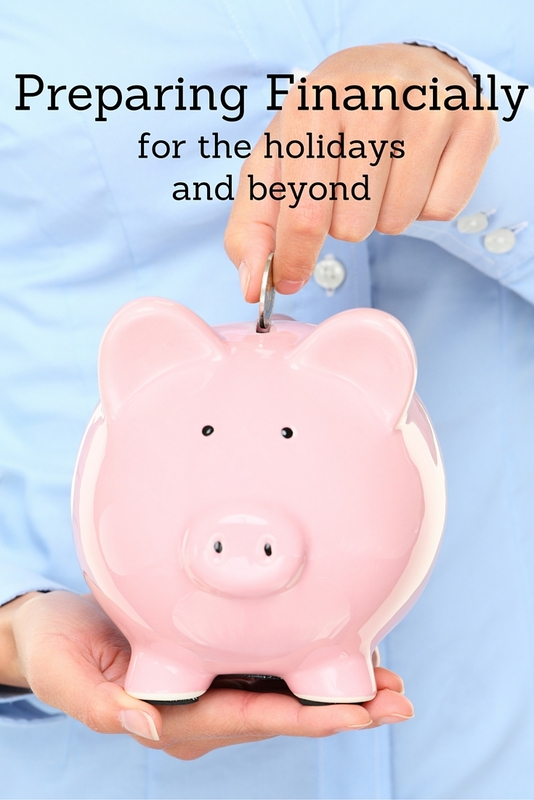 Saving for Christmas and setting a budget early is a great idea!! I've actually found the most savings by shopping thrift stores and garage sales and picked up brand new items for a tiny fraction of the cost. Hope you all have a very happy holiday! It really is SO tempting to over spend at the holidays. I have a 5 year old, and being a total Star Wars fan myself, it is very hard not to buy ALL the Star Wars things for him. Savings wise, like Roxanne, we shop a lot at second hand stores, and I've found some awesome Mommy groups on Facebook that swap clothes, toys, all sorts of stuff. We've sold a bunch of things there, too, which has been great. We tend to overspend during the holidays, so planning, making a list and setting aside a budget are very important. These are great tips. I definitely need to start a holidays saving account I am terrible with my money. At least this way I can establish that this is money to be spent only on Christmas presents. Such a great idea to have a holiday saving account. That way you can't go over budget. Love the picture! In an effort to avoid that buyer's remorse in January I'm making most of my gifts this year, or at least giving from what I already have. I'm hoping my small gifts will have more impact than the mass-produced one, but I wish every year we could forgo presents for my family's Christmas and just spend time together. It is so important to avoid the buyer's remorse that comes around after the holidays. I love the thought of a holiday savings account and would do so much better if I had one. My goal this year is to make a list and stick with it! That's a great idea to start a holiday savings account. I'm so bad and usually wait until the last minute to shop. I'm sure I could be smarter about my holiday strategy. Haha! I have had a few moments where I've felt buyer's remorse. I need to start a holiday savings account – that is a great idea. A holiday savings account is so important! That's the only way we're able to do it! Your family is SO cute! 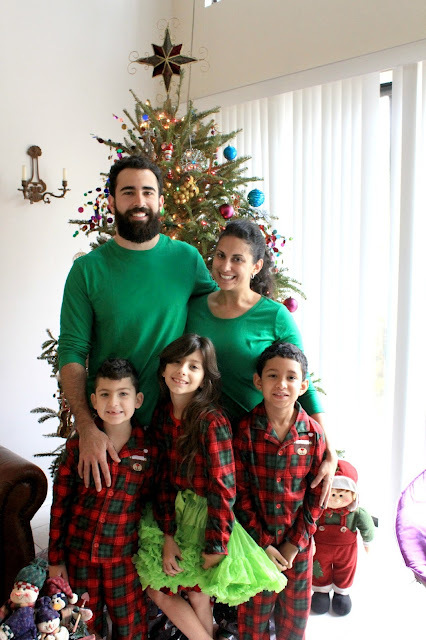 I just love the PJS :) Happy Holidays!